Facebook Chief Operating Officer Sheryl Sandberg went on the Today Show Friday to continue the company's damage control. Sandberg said Facebook does not sell user data to advertisers, repeating a point CEO Mark Zuckerberg stressed earlier in the week in a conference call with reporters. But Sandberg said the company depends on user data, to help target ads to specific users, as a way to earn income. 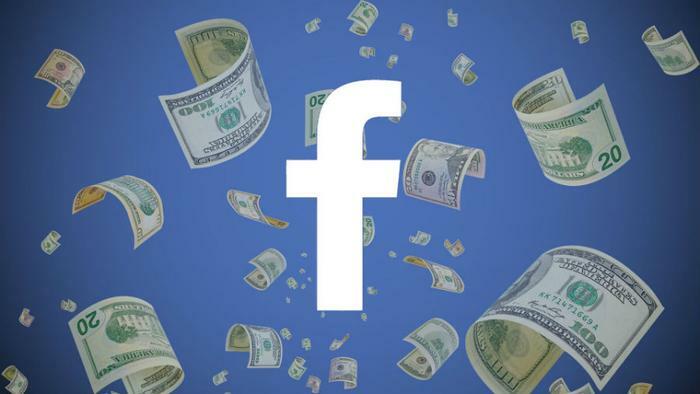 Pressed by NBC's Savannah Guthrie about the possibility of allowing Facebook users to block the use of their data to target ads, Sandberg said there is currently no such option -- but if there were, Facebook users would likely have to pay a fee to use the platform. Sandberg explained that Facebook controls data on users at all times, creating tools so that advertisers can reach consumers most likely to want their product or service. "We do not give that information -- that you're a woman and live in New York -- we do not give any of that information to advertisers," Sandberg said. Facebook finds itself in the eye of a media storm because some of that data -- reportedly on up to 87 million users -- did find its way to an advertiser, Cambridge Analytica. Facebook says the information was illegally transferred to the political marketing firm by an app developer. Sandberg acknowledged that Facebook mishandled the breach and told her interviewer that it is possible a company-wide audit now underway could reveal additional breaches. "I'm not going to sit here and say that we're not going to find more because we are," Sandberg told Guthrie. Sandberg's appearance on the Today Show, and Zuckerberg's conference call, came ahead of Zuckerberg's scheduled appearance next week before the House Energy and Commerce Committee. Meanwhile, Facebook Chief Technology Officer Mike Schroepfer announced a number of changes in how apps can access Facebook data. The changes limit information third party apps can access from Events, Groups, and Pages. He also announced tightened restrictions on log-ins. "Starting today, Facebook will need to approve all apps that request access to information such as check-ins, likes, photos, posts, videos, events and groups," Schroepfer said in a statement. "We started approving these permissions in 2014, but now we’re tightening our review process — requiring these apps to agree to strict requirements before they can access this data." Schroepfer said Facebook will also no longer allow apps to ask for access to personal information such as religious or political views, relationship status and details, custom friends lists, education, and work history. By next week, he said Facebook will remove a developer’s ability to request data people shared with them if it appears they have not used the app in the last three months.